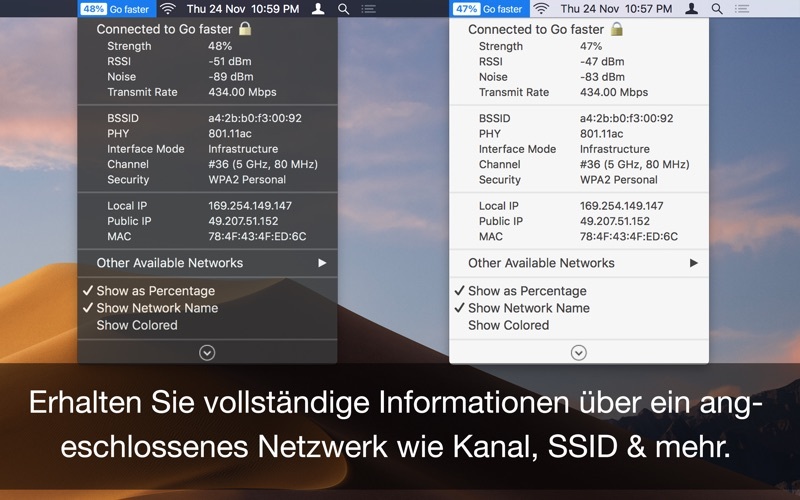 Monitor real time Wifi signal strength and show the Wifi strength in percentage with connected network name. 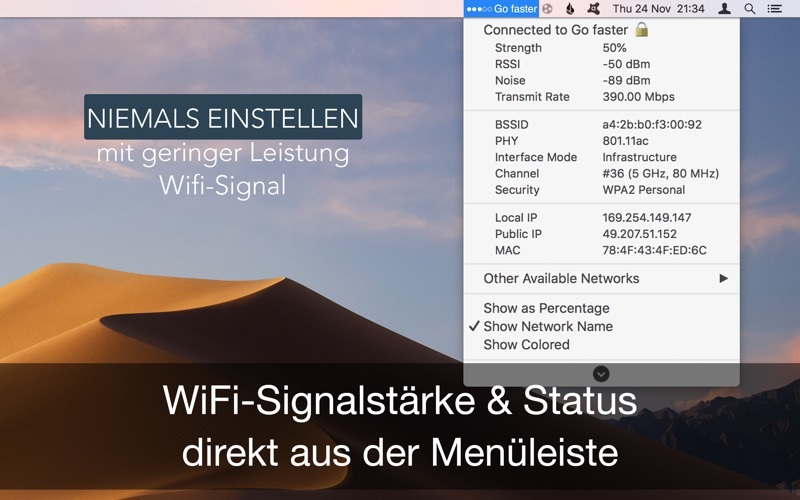 ■ Real time Wifi Signal Strength Monitor from Menu bar. ■ Auto connect, strongest Wifi signal available. ■ Get all details of other available networks around. 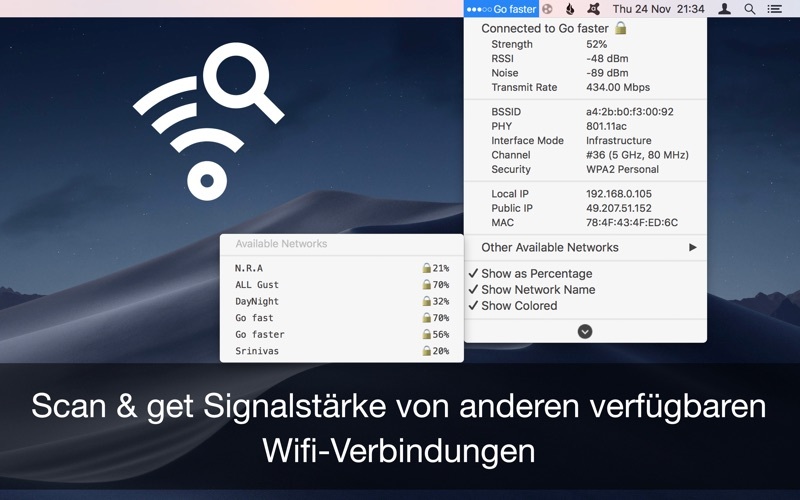 This utility adds network name, signal strength with "neat icon”, “percentage" or "dots" on the menu bar. ▸▸▸ Color code & Percentage indicators rules. 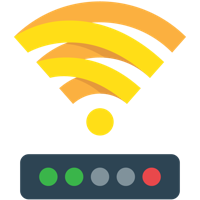 With signal strength & connection status also get an IP address, mac address, open or secured, channels, BSSID, RSSI, Noise, Transmit Rate, PHY, Interface mode, Security type, etc. ◉ Get the public and local IP address. 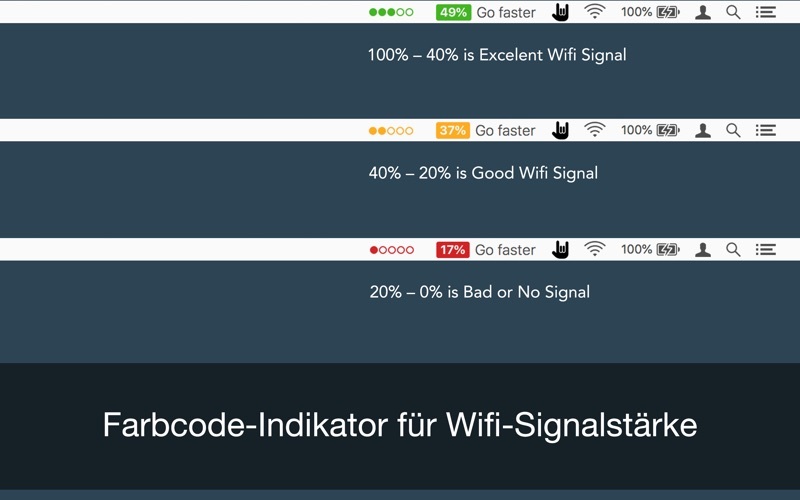 ◉ Set refresh rate of signal strength to scan wifi. ◉ Auto connect to strongest signal available. ◉ Transmit rate of a connected Wifi network. ◉ Color code indication for easy sight. 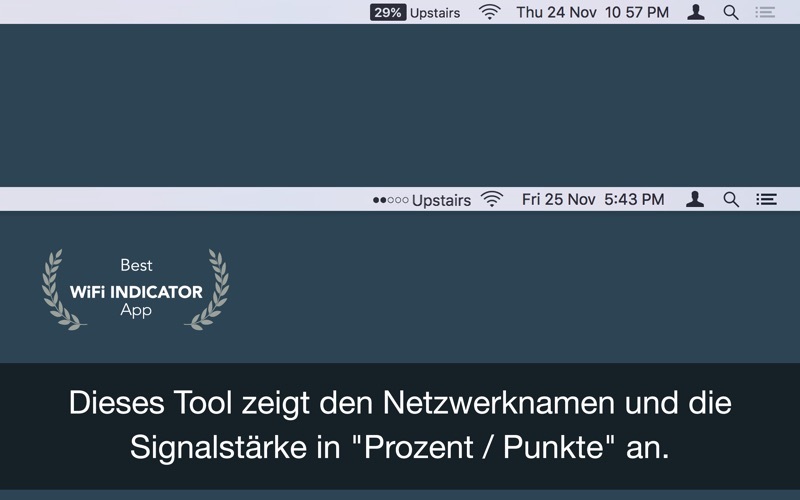 ◉ Customize menu bar display. ◉ Auto change light & dark with respect to system theme. ◎ As a user of Mac for the past 30years, I think this app is like all the others a must have for all users. Keeps one in range of the wifi signal at all times – by "Stoyles"
◎ It’s definitely not something you need, but it’s a utility that’s surprisingly useful and great to have. – by "Voltali"
◎ Some things are eminently simple yet so very useful, and this app is one of them. - by "conradb212"
◎ Our house is concrete and even some internal structural walls are with concrete and rebar. I ended up with four routers to hand the attenuated signal strength and this app showed me some weak spots, helping me to move routers for better coverage. Also, it comes in handy when travelling. I use it when there is difficulty in getting some work done and the app indicated to me if the issue is signal strength. - by "MarmotRidge"
◎ It serves my purpose - by "BALDING29"